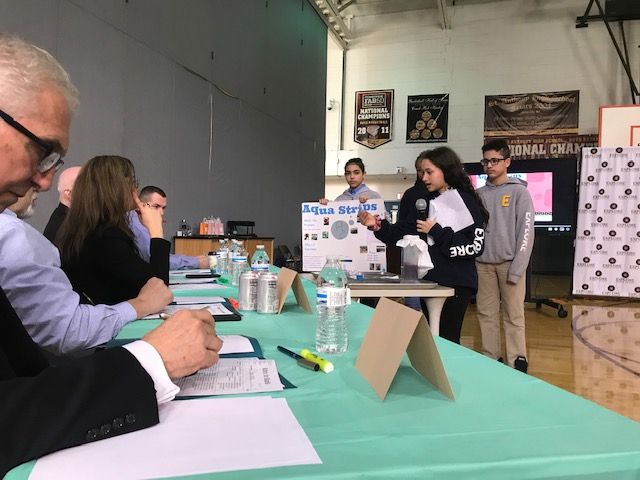 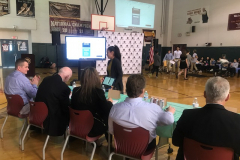 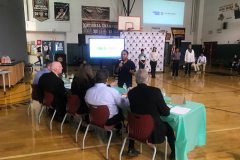 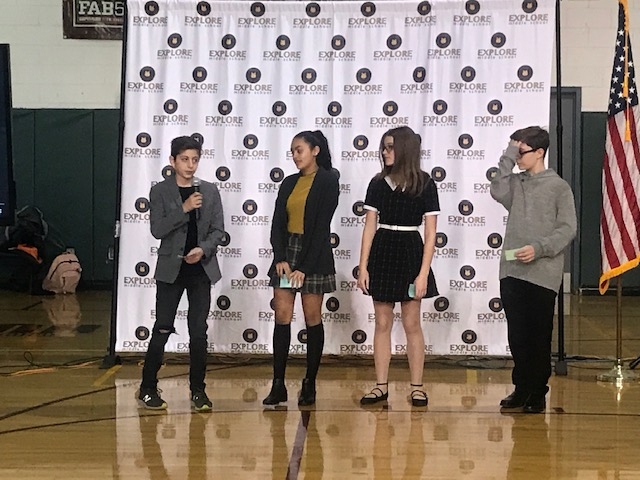 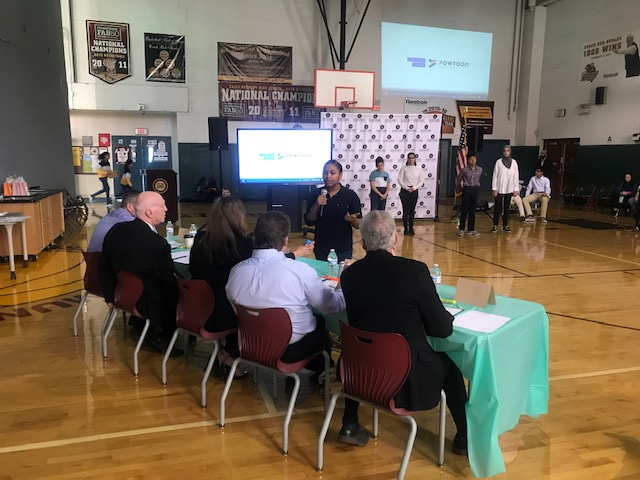 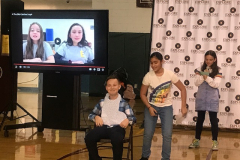 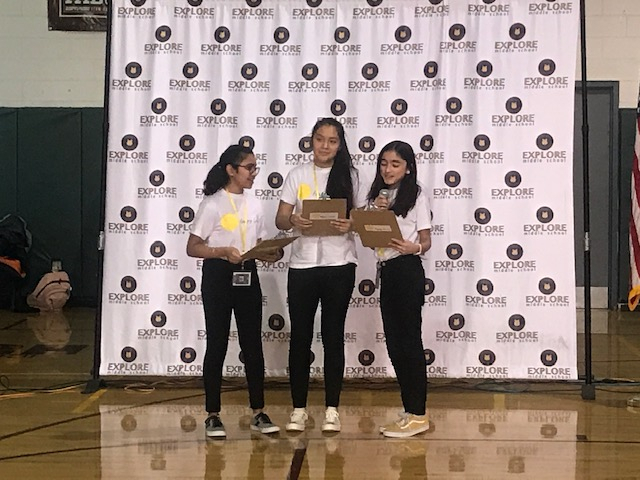 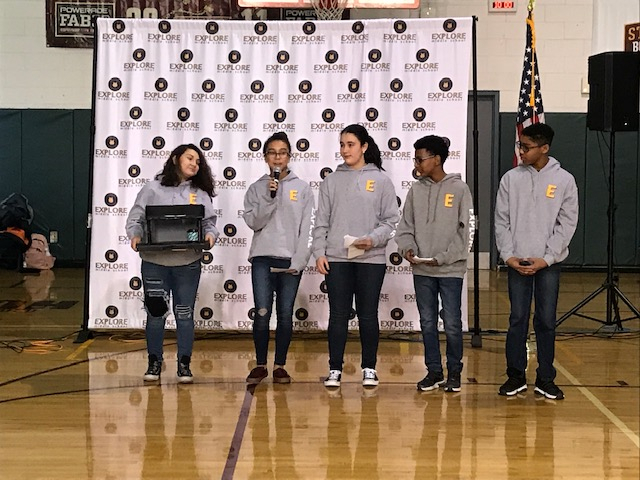 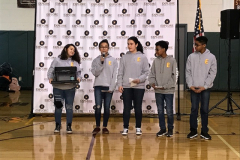 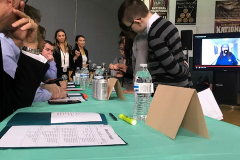 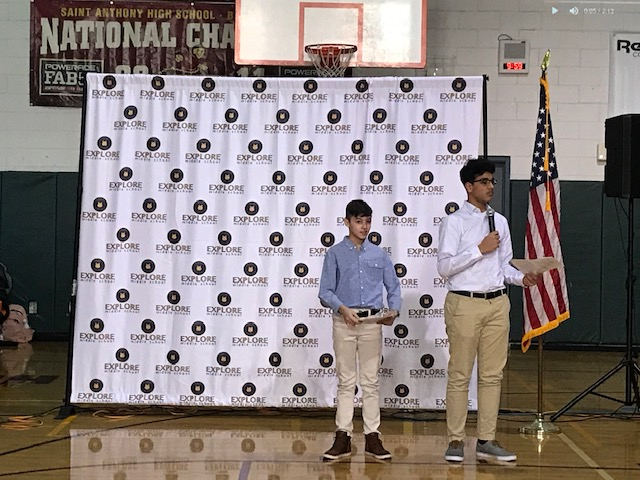 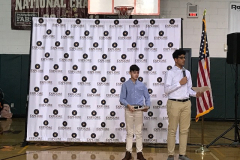 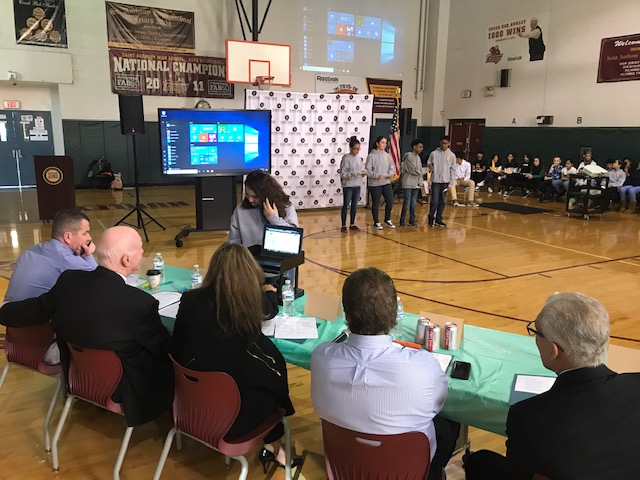 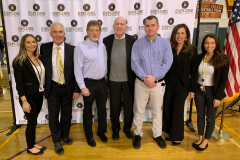 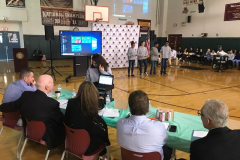 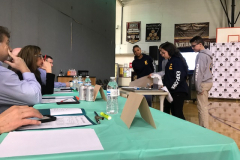 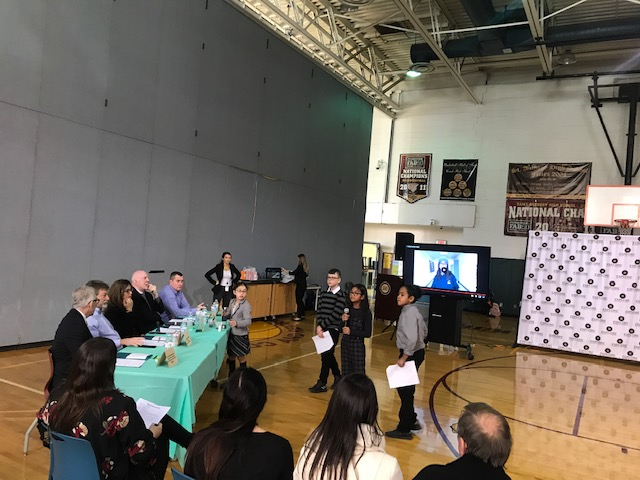 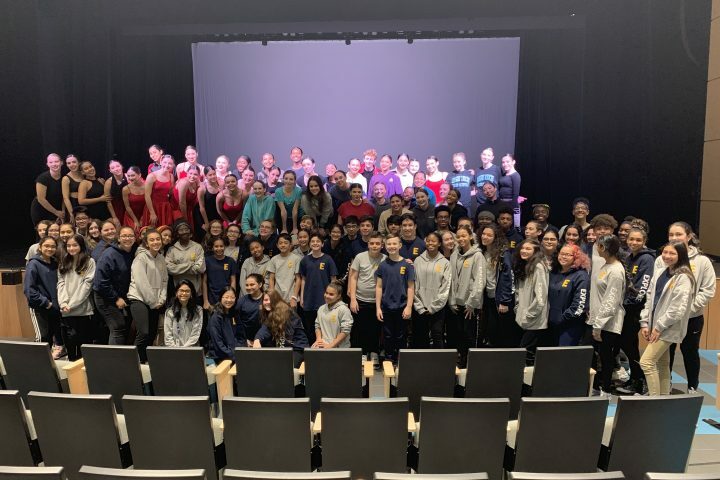 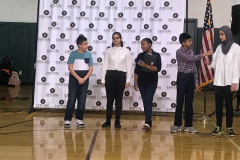 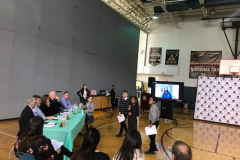 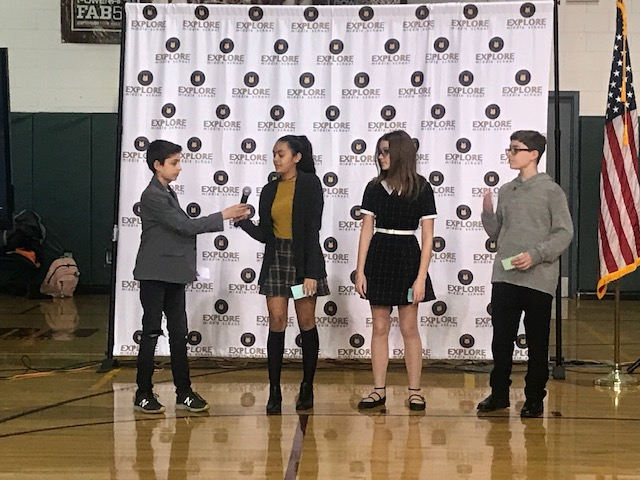 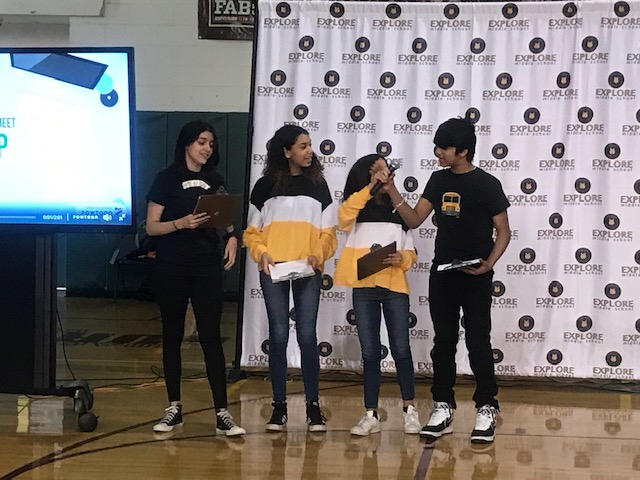 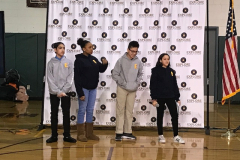 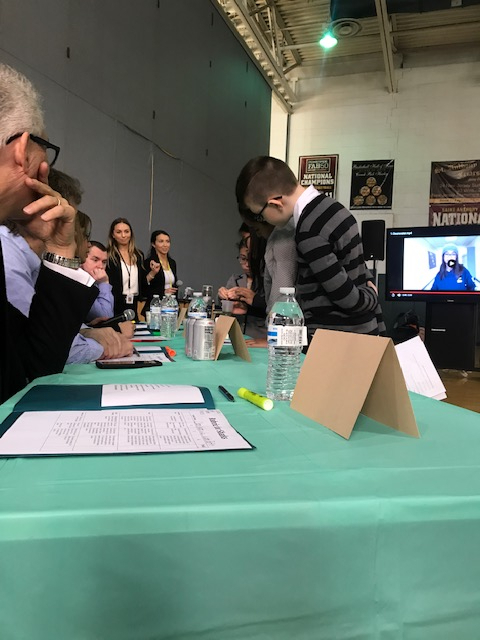 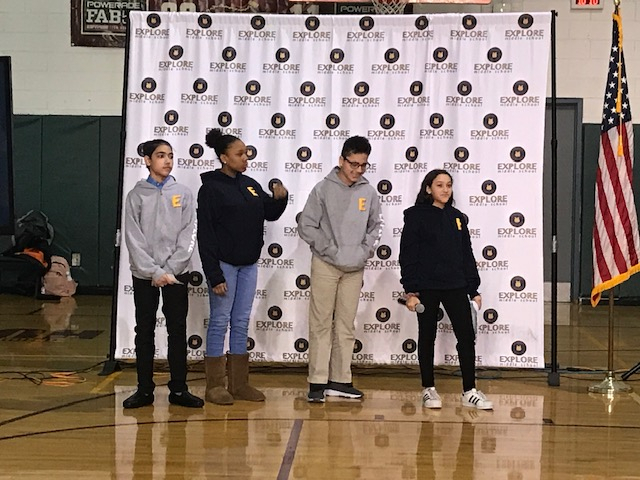 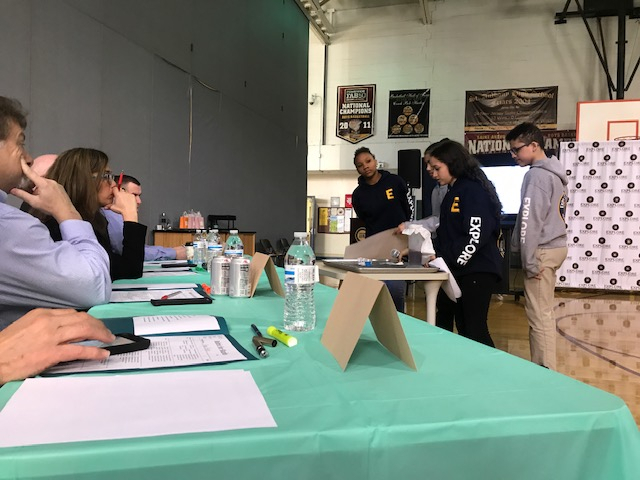 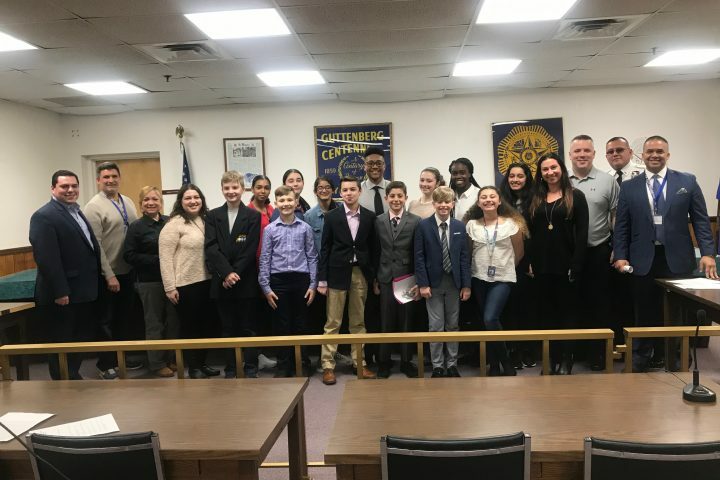 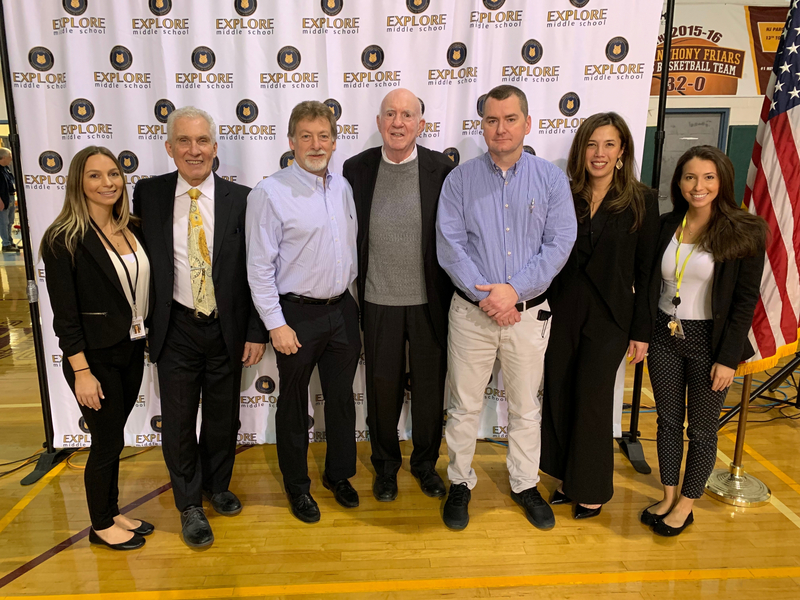 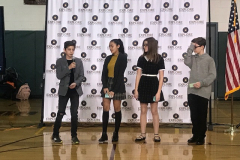 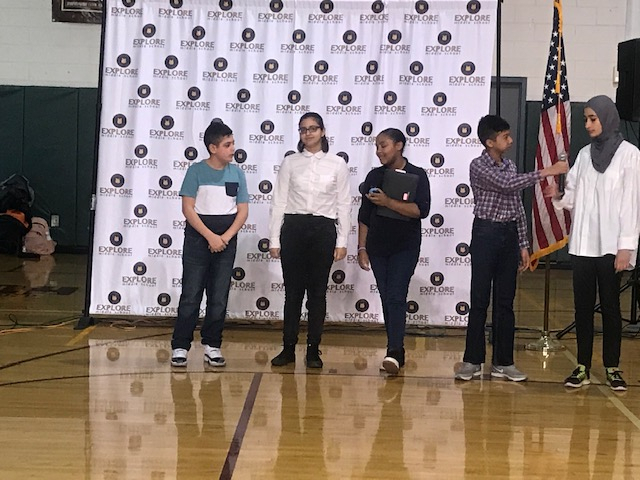 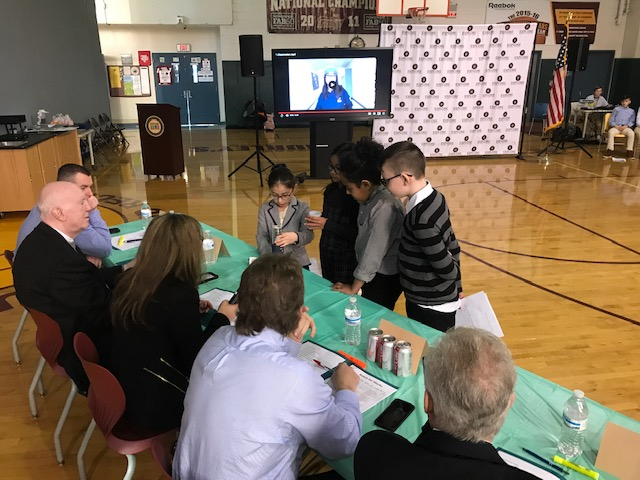 February 6, 2019, JERSEY CITY, N.J. -- Students from Explore Middle School entered into the “Shark Tank” on Wednesday morning to present their second quarter projects to Administrators at Hudson County Schools of Technology. 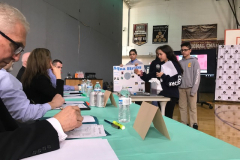 The presentations all provided a solution to a scientific phenomena and required students to thoroughly research, market and answer questions about their topics. 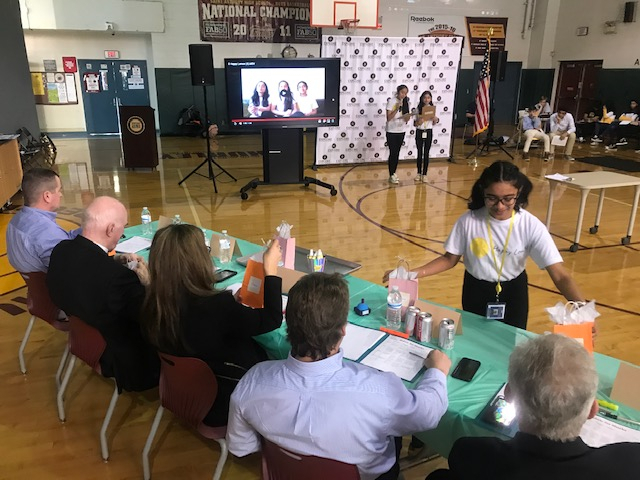 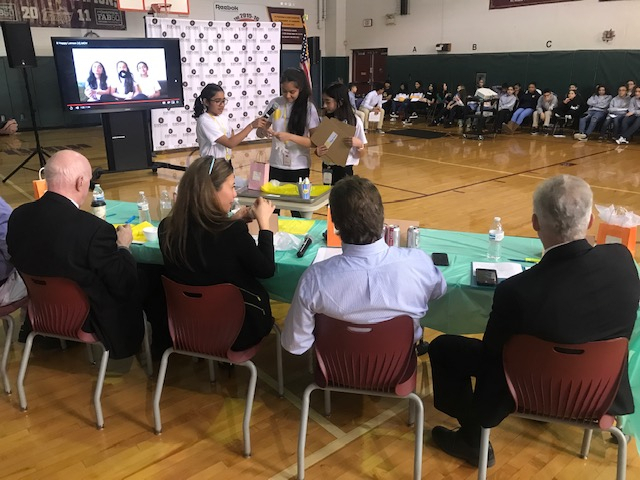 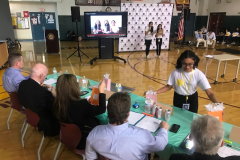 The top three groups from each grade level were tasked with presenting a promotional video, demonstrating how their product works and making a proposal to a panel of five judges. 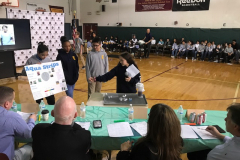 Projects included an acid spray that dissolves styrofoam to prevent putting the material in landfills, a self-filtering water bottle to provide clean drinking water across the globe and a robot to help prevent the devastating effects of hurricanes. 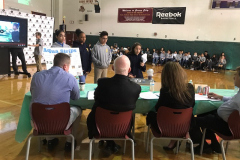 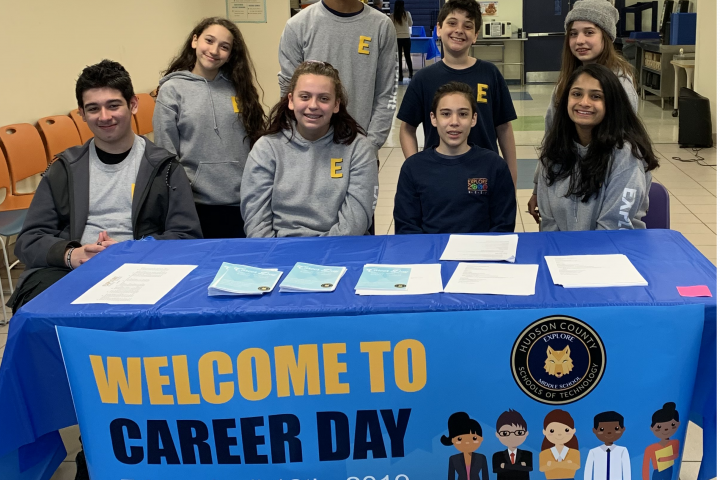 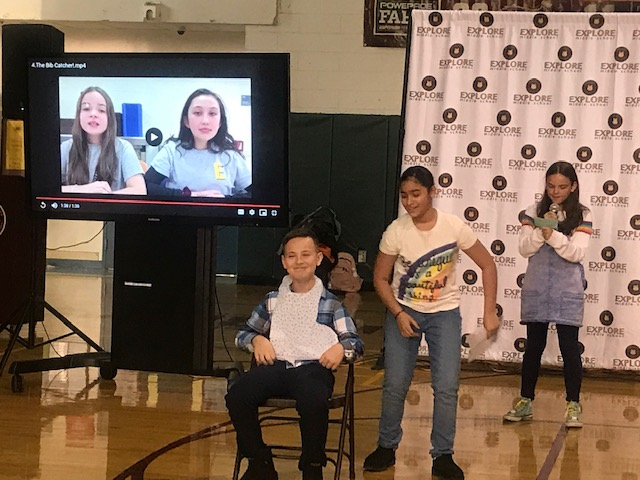 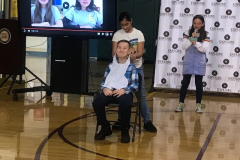 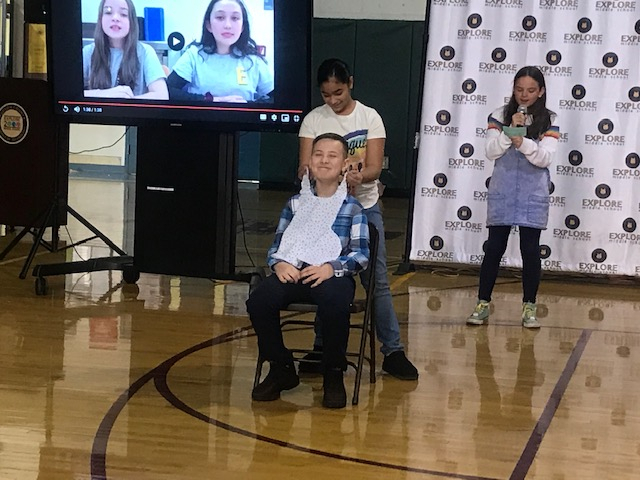 “This second quarter project challenged Explore Middle School students to work together and think outside of the box to produce a successful project,” said Acting Superintendent Amy Lin-Rodriguez. 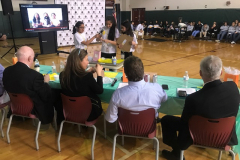 “Their projects were creative and a reflection of their countless hours of hard work and dedication. 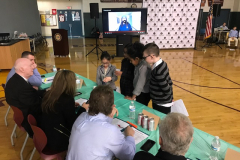 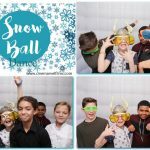 It is important for us to provide students with fun and interactive ways to implement what they learn in the classroom and this activity did just that. 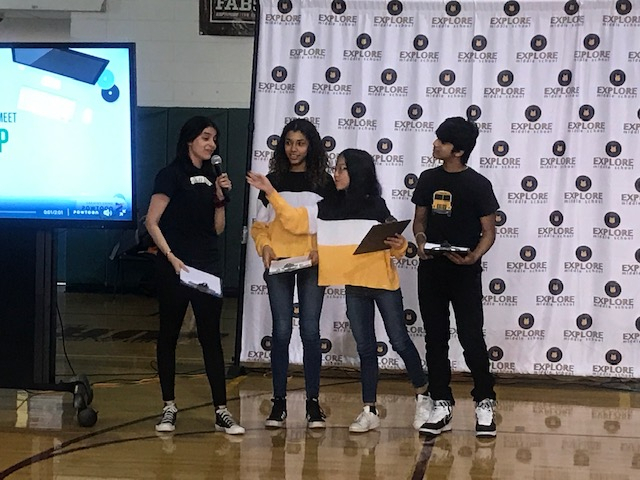 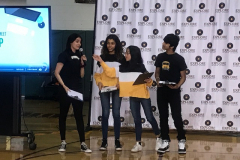 The first place winners -- seventh graders Sara Khiri, Eva Ji, Sarosh Aboobakker and Ashley Gordillo -- developed an app called “SKUBER,” which allows students to track their school bus so they do not miss their ride or get stuck waiting in inclement weather. 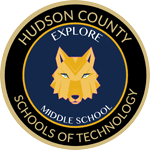 They will present their project at Hudson County Schools of Technology’s School Board meeting on Thursday afternoon. 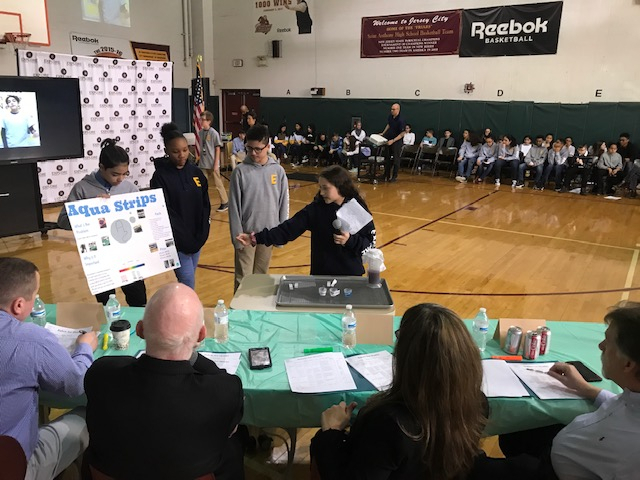 The second place winners were sixth grade students Mikail Oflaz, Nicholas Davies, Sierra Garcia and Claire Murray, who designed the app “Fridge Scan.” The app allows users to take a photo of the goods in their refrigerator or upload their grocery store receipts to automatically generate meal recipes based on the food they already have. 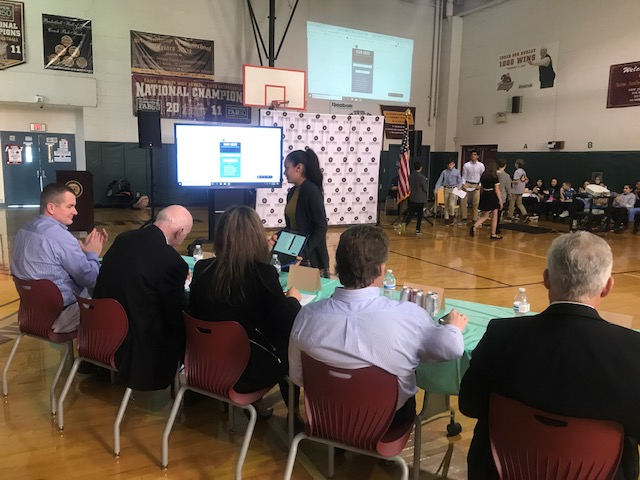 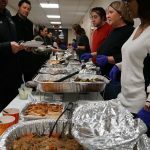 One major goal of this is to avoid food waste; the app actually alerts you as to when food in your fridge is about to go bad. 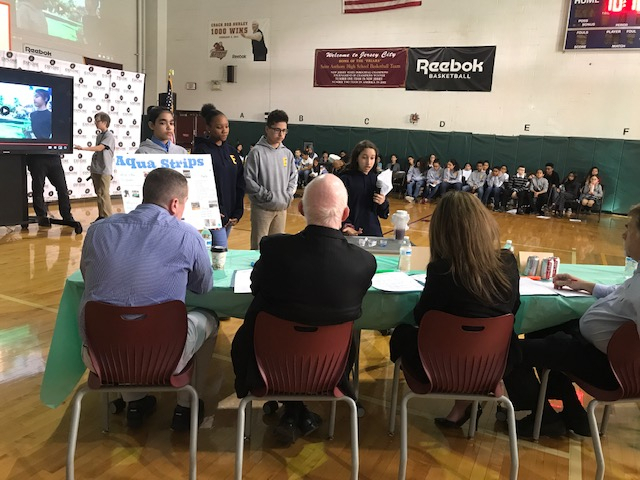 Coming in third place were eighth grade students Jessica Malek, Joyce Bryant, Adrian DeJesus and Alexander Jiminez for their “Aqua Strips.” The strips, made from common household items, test the pH levels in water to determine if it is safe to drink. 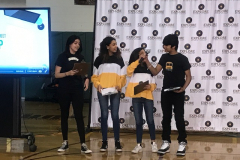 The three winning groups will have a pizza party and free dress down day. 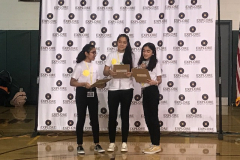 Team “Skuber” will also be awarded with an Amazon gift card and will visit Eastern Millwork Inc. to meet with the company’s engineers.